Ola Kolehmainen’s large exhibition Sacred Spaces opens tonight at HAM - the Helsinki Art Museum. 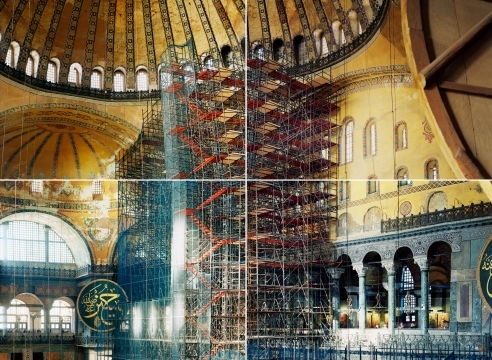 The series of photographs depict ancient churches, synagogues and mosques reminding us of the interwoven history of the religions they represent. The works differ from Kolehmainen’s traditional minimalism, and expands into a complex approach dealing with space, light, and color. The photographs textured ornamentation reflects historical layers and decorative interiors. Space and light are masterfully handled in Kolehmainen’s images to successfully capture the sublime essence of these historic buildings. The exhibition continues trough March 4, 2018.